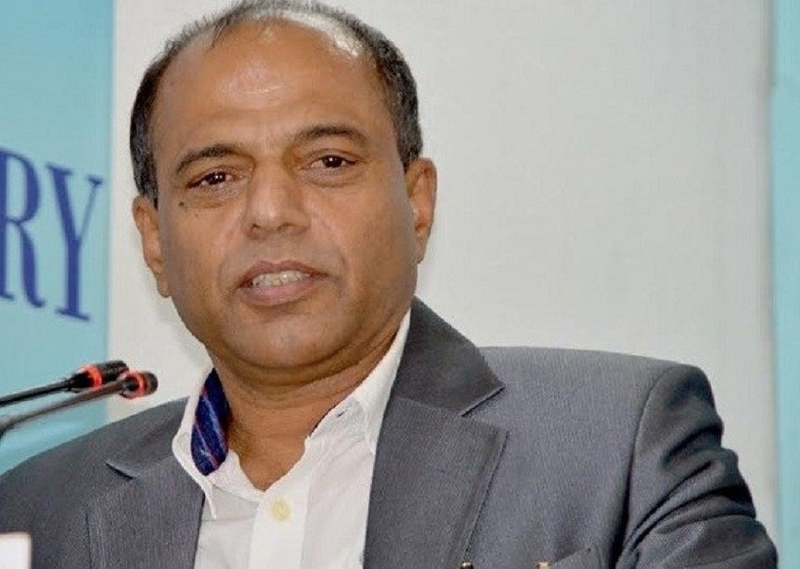 Sindhuli – Minister for Agriculture, Land Management and Cooperatives, Chakrapani Khanal, has said agriculture has not been in the priority of the State so far. He was speaking in a press meet organized by the Federation of Nepali Journalists (FNJ), Sindhuli branch here today. He stated that the country would enter an unfortunate situation if agriculture was not prioritized. The Agriculture Minister also underlined the need of new type of mobilization in the agriculture sector to prevent the hundreds of thousands of youths who are leaving the country to work in foreign countries by generating employment for them at home. Stating that 67 per cent of the people in the country are engaged in the agriculture sector, he said agriculture should be prioritized for fulfilling the goal of ‘Happy Nepali, Prosperous Nepal’. He opined that more employment could be generated in the country in the agriculture, energy and tourism sector, and the bodies under his Ministry were working to that end. “The government is committed to gradually transforming the traditional mode of agriculture, managing the land and commercializing the agriculture through modernization and developing the group farming practices as well as managing the subsidies in the agriculture sector,” he said.